Despite the statutory requirement for an ALJ to issue a decision within 90 days of a request for a hearing, the hearing is not projected to occur until at least 3 to 5 years from now. Since the recoupments will continue during the delay, the provider faces the possibility of going bankrupt and terminating operations before it could even conclude the 4-part Medicare appeal process (which has been described by the court as Byzantine). The recoupments would cut off nearly all of the provider’s revenue stream. Faced with these issues, Family Rehab sued the Secretary of Health and Human Services (HHS) in federal court and sought a temporary restraining order and an injunction to prevent the recoupment of any overpayments until the conclusion of the administrative appeals process. The District Court, however, dismissed the case, finding sua sponte that it lacked jurisdiction. Generally, federal courts only have jurisdiction over final decisions of the U.S. Department of Health and Human Services (HHS) in cases “arising under” the Medicare Act. Since Family Rehab had admittedly only completed two of the four levels of administrative appeals before the agency, the District Court reasoned that it lacked subject-matter jurisdiction. The Fifth Circuit partially reversed the District Court’s dismissal and has allowed Family Rehab’s procedural due-process and ultra vires claims to proceed. See Family Rehab., Inc. v. Azar, No. 17-1137, 2018 BL 105426 (5th Cir. Mar. 27, 2018). The Fifth Circuit held that those claims met the “collateral-claim exception” to the general rule that only final HHS decisions that arise under the Medicare Act are reviewable. Family Rehab met its burden of showing (1) that the claims are “entirely collateral” to the substantive agency decision and (2) that it could not obtain full relief at a post deprivation hearing. 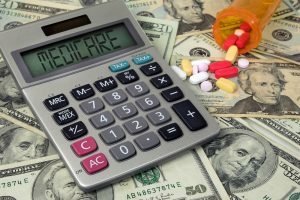 The Fifth Circuit held that the claims were “collateral” because the court on remand will have no need to “immerse itself” in the substance of the underlying Medicare claim or make factual determinations concerning the application of the Medicare Act. Family Rehab only seeks a temporary suspension of recoupment until a hearing; the court’s review on remand will be limited to deciding the amount of process that is required before a recoupment. Family Rehab also met the second prong because it alleged a colorable claim that the damages from the recoupment could not be compensated through retroactive payments. It alleged irreparable harm from the combined threats of going out of business and disruption to its Medicare patients. Providers facing bankruptcy or disruptions because of the Medicare appeals backlog might look to this case for guidance in seeking federal court intervention.